What kind of insurance do you REALLY need? You are here: Home » MoneyTalk » Additional Topics » What kind of insurance do you REALLY need? Insurance can be quite expensive, running into hundreds of dollars a month potentially. All for something you may never use. Have you ever wondered what kinds of insurance you really need? Are there any that you can skip? Did you know that there are some instances where you are required to have insurance? Lienholders generally require that borrowers keep enough insurance on their collateral so that they can recover their money in the event that the collateral is destroyed, or recover their money in the event that the borrower falls behind on their payments. Note that this doesn’t protect borrowers from repossession or foreclosure, it simply ensures that the lender gets their money back. If you live in areas with a high risk of flooding, you’ll be required to carry flood insurance while you have a mortgage. Even if you live somewhere with a lower risk of flooding, It’s possible your lender will require you to get flood insurance. 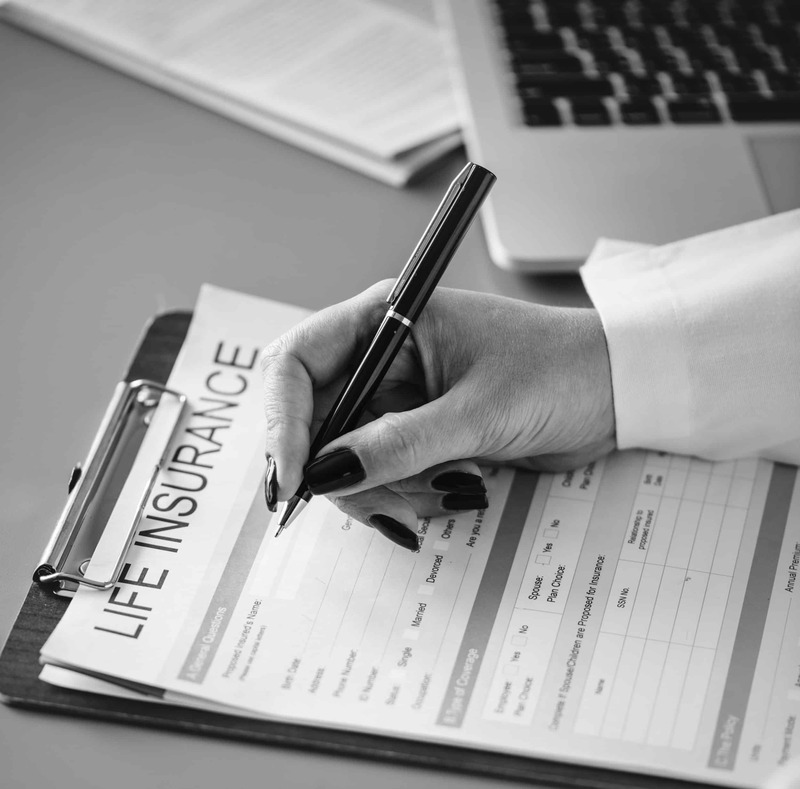 The question of whether or not you should get insurance depends on how you feel about risk and how difficult it would be for you to replace your things. Consider, most people cannot afford to replace their house if it burns down; they had to have a mortgage just to buy it in the first place. And that doesn’t even take into account the value of all the things in the house. Your home can potentially have tens of thousands of dollars in stuff in it. Health Insurance: Health insurance is unusual because it covers routine medical care, like yearly checkups. You can get health insurance plans that cover prescription drugs, emergency care, surgery etc. A wide variety of coverage levels are available depending on your premium, deductible, and copays. Your rate will be determined both by your coverage levels and your health. For example, smokers tend to pay higher premiums, as it’s assumed it increases their risks for other health conditions. Health insurance is also unusual because it has a wide range of copays depending on the service you’re using (i.e. primary care physician vs. prescription drugs). One of the major benefits of health insurance is that if you need a major surgery, much of the expense should be covered by your insurance. Auto Insurance: Car insurance covers things like damage to your car, damage to other people’s property and their medical bills. Typically, you’re required to carry car insurance if you own a car that you drive. When selecting your level of car insurance coverage, you’ll need to make a few different decisions. One major decision is whether you want your insurance to cover the full replacement value of your car or just the current market value. If you’ve got other property, like a house, that you could lose in a lawsuit, you’ll also want a level of car insurance that can cover quite a bit of property damage. Renter’s Insurance: Renter’s insurance protects your personal property when you are renting your home. It can also cover damage you cause to the home. Your landlord’s insurance normally covers any damage to the structure, that isn’t your fault. You may think that you don’t have that much stuff, but how much would it cost to replace things like, your TV, your couch, everything in your kitchen, all your clothes? After adding it all up, many people find that they have up to ten thousand dollars’ worth of stuff. That wouldn’t be easy for most people to replace if they suddenly lost it all. Homeowner’s Insurance: Homeowner’s insurance covers the structure of your home and your possessions. It you’ve got a mortgage, you’ll likely be required to keep homeowner’s insurance. If you’ve rented most of your life, you may not think owning a home is that expensive. But if you live in your home for 15 years, it may need things like a new furnace, or a new roof, or it could flood. Do you know how much any of those cost? They can get quite expensive. If you live in a flood-prone area, a flood insurance policy might also be a good idea. Specialized Insurance: Do you have a costly musical instrument? What about expensive jewelry? Or a lot of antiques? If you’ve got something expensive and difficult to replace, you might want to get it insured, just in case. Even if you think nothing will happen, what would you do if something did? Between rent and your other bills, it may seem like you can let your insurance slide. While you can probably pass on some kinds of insurance, but there are a few that you really do need. For example, you are generally required to carry car insurance if you have a car and homeowner’s insurance if you owe money on your house. If you can’t replace your things easily, or you absolutely need them, you should really consider getting them insured.